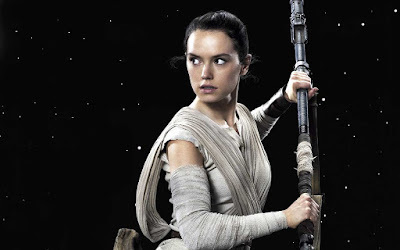 Editor's Note: The following is a guest post by Star Wars autograph collecting expert Frank Rich from Star Wars Autograph News, investigating the recent controversy surrounding a reported Private Autograph Signing by Star Wars: The Force Awakens star Daisy Ridley. As the owner of Star Wars Autograph News I have been sent leads and reported many private autograph signings over the years but none have come close to gaining the amount of attention as the one I was given earlier this week. I received a message on Monday from a well respected autograph collector letting me know a private signing with Daisy Ridley was going to be announced within the next 24-hours. I saw that the same collector had posted a link to the Facebook page "Autograph Signature Send-Ins." I mentally prepared myself for the story I would write and on Tuesday afternoon I was sent the prices, deadlines and other details for the signing. One of the details I was given, which was posted on the Autograph Signature Send-Ins page, was that Steve Grad, principal authenticator for PSA/DNA and who also makes frequent appearances on the History Channel's Pawn Stars, was going to be on hand witnessing and authenticating each signature. Grad's involvement in the signing, and use of his company's name, filled me with extra confidence that this signing was going to be a good one. There are two reasons for this. First, I have spoken to him many times in the past, most notably when his Mark Hamill signed cards gained world-wide notoriety due to the funny inscriptions Hamill had written. In the time I have know him and of him, which goes back to Star Wars Celebration VI in 2012, he's been a well-respected person in the Star Wars autograph collecting community and I was confident he would not do anything that would jeopardize that reputation. The second reason, and most pragmatic, is that his company and it's reputation were tied to this signing. I don't know of anyone who would willingly place their livelihood on the line if they did not know something was a legitimate and worthwhile venture, especially something as high profile as this signing. I started on my first report of the signing right away. For the two reasons listed above I did not include any warnings to collectors in the piece to be cautious of this signing, which I would have if I did not know people involved. I referenced the newly formed Facebook page and was able to get a story out within 15 minutes of being informed. I didn't realize that the moment I hit "publish" on my website this story would not only occupy much of my attention for the week, but also stir the passions of the Star Wars autograph collecting community. Initial reactions to the headline were of excitement and quite positive. Some Star Wars Underworld fans may not realize but the "Big Three" actors from the Prequels rarely, if ever, sign Star Wars-related autographs. This announcement, in addition to the earlier news that Adam Driver will be doing a private signing, gave us a hint that things would be different for the Sequel era actors. For a fleeting moment the community was full of excitement. That is, of course, until people clicked the story and saw the prices. The starting price for an 8x10 autograph for the signing is $300 and prices go up from there depending on the size and type of item, and maxed at $600 per signature for a full sized poster. Excitement was quickly replaced with disbelief, anger and skepticism. As I saw comment after comment of negativity, outrage actually, I contacted the original collector who had given me the story and Steve Grad (I have spoken to them more since Tuesday than my own family.) Details were given to me which at the time I was not at liberty to share, but I have since reported. The first issue people had with the price was it being so much more than the price of Mark Hamill's autograph, which has been about $125 since Celebration V in 2010. As much as people loved Rey in the film, their loyalty to Luke Skywalker made her autograph price unthinkable. While the days of $20 for an autograph from a background actor may be fading, the only two actors to charge more than $100 at Celebration have been Hamill and Ian McDiarmid (you can see the who attended every Celebration and how much they charged by clicking HERE.) Ridley's signature costing $300 less than two months after the movie's release seemed too much and too soon to some, a betrayal to the actors from the Original and Prequel trilogies who have been charging must less at conventions for years, and a brooding harbinger of changes in the hobby for others. Initially the ire was directed towards the organizers (who had yet to be officially named) but soon more and more people started to comment on Ridley's part to play in these prices. Fingers began to point towards both parties, but the one word used to describe both parties was greed. When most people think of an autograph signing they think of a typical convention, where actors come to some sort of agreement before signing a contract with the show and receive pay based on the number of autographs they sell, which may be on top of money they already received as compensation. This is not how most private signings work, and was not the case in this situation. According to my sources Ridley had signed an exclusive contract to conduct autograph signings for KLF Sports. Although I am not at liberty to say how much the contract cost (I was given a ballpark) suffice to say it was an astronomical sum of money. Reportedly the cost of the exclusive contract is what drove the price for this signing. I was also informed due to the price of the contract the company would not be able to do signings with John Boyega and Oscar Isaac, which they had reportedly wanted to do. Concerns were raised by other collectors who Googled the address send-in items were to be sent and tracked it to a warehouse in Miami, Florida. Assuming that is where the items would be signed this added another layer of doubt to the fray. I followed up with my source and was told all items would be sent to the warehouse, sorted and organized, and sent to Los Angeles for the signing which was to occur in late February while Ridley was in the States for promotional reasons. I was also informed this is common practice for private signings and that respected companies well known to Star Wars autograph collectors have done it as well. Here's where I can show my pride for the people who follow Star Wars Autograph News. 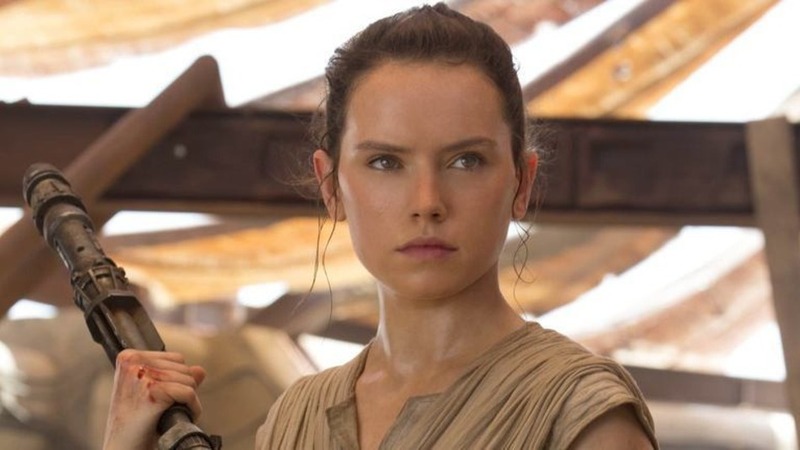 An autograph collector named Jim Ristway was the catalyst for more information being released when he sent an Instagram message to Daisy Ridley asking her to reconsider the asking price for her autograph. His message went viral as the Daisy Ridley account (not all actors directly run their own social media accounts, although in this case she most likely does) responded back saying she was not involved with this signing. Feelings quickly changed as word spread about Jim's exchange with Ridley. The focus now became on the legitimacy of the signing instead of the high prices. People, already suspicious of the signing due to the Facebook page having been created only a day before the announcement and no one having ever heard of Autograph Signature Send-Ins, began posting livid messages on social media and warned each other to avoid this signing at all costs. Now in addition to Jim's Instagram dialogue with Ridley making it's way around the internet another Instagram screen shot has surfaced. This one from Daisy Ridley's official account and says "10w" at the top which I assume to mean 10 weeks ago, states "Please do not buy signed stuff. The people who sell that stuff can be incredibly aggressive when trying to get autographs and some of them are fake anyway! Come to any event I am attending and I will happily try and sign AS MANY THINGS AS EVER POSSIBLE." I was not able to ascertain the exact date this Instagram message was posted, as I do not know when the screen shot was taken, but according to my sources the contract for the KLF Sports signings was signed during the later half of the first week of February. Personally this comment has no bearing in this story because it was made at least 10 weeks before the contract was reportedly signed and more importantly she is referring to in-person autograph seekers which is much different that a sit down private signing that she had agreed to do. The two issues she identifies in the post, pushy in-person autograph seekers and forgeries, would not be an issue in this situation. I interpret her message as protecting autograph collectors from buying forgeries, not to stop them from not participating in one of her signings. For those who still are not convinced this is an authentic signing the doubt will surely remain. To throw fuel on an already raging fire the Autograph Signature Send-Ins Facebook page was deleted without explanation after Ridley's comments to Jim, convincing many that this was proof positive the signing was a scam. Behind the scenes I was told that KLF Sports had contacted Ridley's people regarding her denial and were told to delete the account and move all information regarding the signing to their website. I assumed this was most likely done due to the confusion that was already rampant regarding the signing. When I heard this it made her comments to Jim much clearer. If her contract was with KLF Sports she most likely had no idea who Autograph Signature Send-Ins was, explaining why she stated she was not involved with this signing. I have not inquired into the details regarding the name Autograph Signature Send-Ins, or who created the page. The only information I was told was it was not created by my source who initially told me about the signing. That brings us to where we now stand. 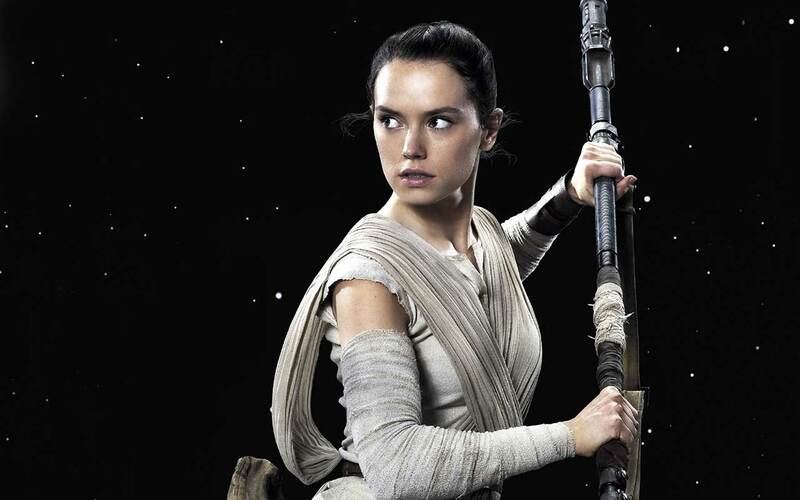 KLF Sports has added Ridley's name and a photo of her as Rey on their website under their "Exclusives" section. There are no instructions on how to place an order for the signing. Many have wondered why a sports-centered company would have a Star Wars actress signing for them which kept some lingering doubt regarding the signing. For the most part I have seen people return to the price debate regarding the signing and not nearly as much about it's authenticity. The company does have one other client from the big screen, actor Al Pacino. Although I was not granted permission to use them in my report, I was shown photos that were reportedly from a signing Pacino had done for KLF Sports with it's owner and others who were present. What's next in the ever developing story of #Ridleygate? I expect to see more details very soon as the original deadline to participate in this signing was February 15th. Whichever direction this story takes you can be sure Star Wars Autograph News will be there to report it. Frank Rich is a life-long Star Wars fan and is the Owner, Lead Writer and Podcast Host for Star Wars Autograph News. You can follow Frank at www.starwarsautographnews.com, on Facebook at www.facebook.com/starwarsautographnews, and on Twitter, Periscope, Instagram and Youtube at @swautograph. Thank god i got her jj abrams... Jon boyega and adam drivers autographs at the jimmy kimmel live show! For free! Lucky day! Kudos to the author, but I imagine the overall percentage is still probably under 20, and that's an optimistic assumption...no offense originally intended, btw, this was just the third time I'd noticed a "scandal" (for lack of a better word) referred to as "something-gate" so I decided to muse publicly about it; isn't that what the internet is for?